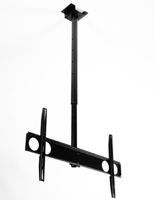 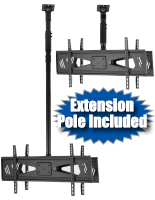 This plasma screen ceiling mount for commercial use works on a flat or inclined surface to display a television set without taking up valuable retail counter and floor space. 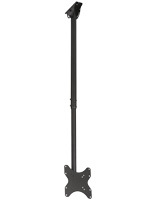 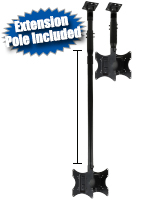 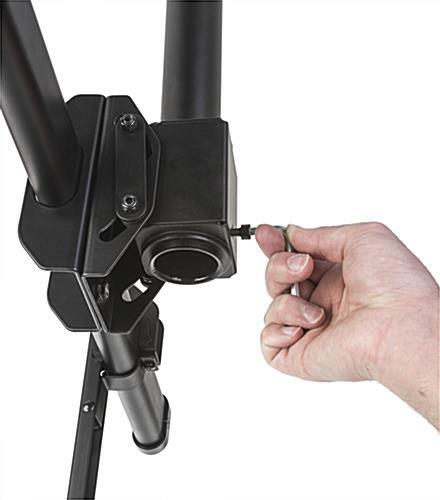 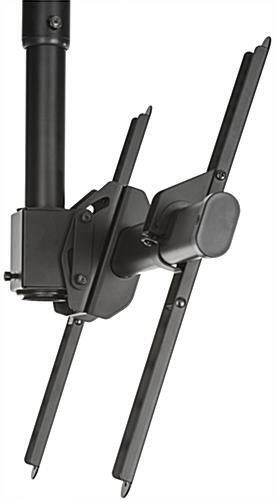 Designed with a 25° tilt and 360° rotation for ideal viewing choices, this swivel bracket is great for large showrooms, airports, or restaurants. 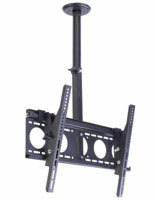 This ceiling mount with an adjustable plate ensures a 60° motion that opens up views to more patrons and visitors. 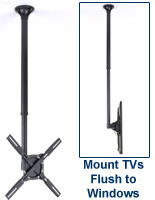 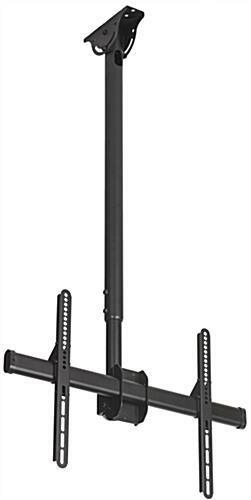 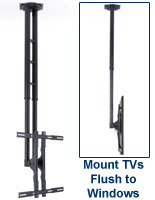 Browse this category for durable, well designed TV stands that mount on ceiling or wall. 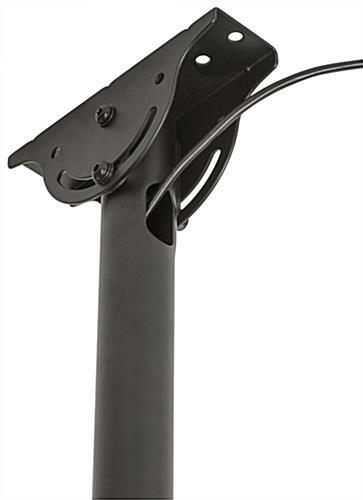 This mount, like LCD holder hardware, features integrated cable management to keep cords out of sight for a neat media presentation.